Do you have to have an expensive watch or jewellery or important documents that you need to keep safe at work or home? In overseas countries safety deposit boxes are common, but they are very rare in New Zealand. This leads to many people in New Zealand storing expensive valuables and documents insecurely in their home, making them much more vulnerable to burglars or fire. This is where safes come into the picture. Primarily, there are different types of safes that are available – home safes for personal use to protect against burglary, fire, or any other natural disasters, and commercial safes, for your workplace, from a small business to a large banking system. This is one of the most common types of home safes. They are compact in size and can be stored away into a cupboard or under the bed. Most people use it to store valuable documents, jewellery or other precious items. If you are considering buying this safe, make sure to get something with a solid door and walls, so that it can’t be opened, even I dropped from a height. Many security safes are also fireproof, so they don’t just protect you from burglaries, but also keep you safe from fire, water damage, etc. These are smaller safes that are used to store technological items such as a laptop, camera, important pen drive, and also paper documents such as identification, etc. These are almost always water proof and fireproof, considering the kind of material that is stored, however make sure to confirm this before buying. These are easily portable, due to their size. 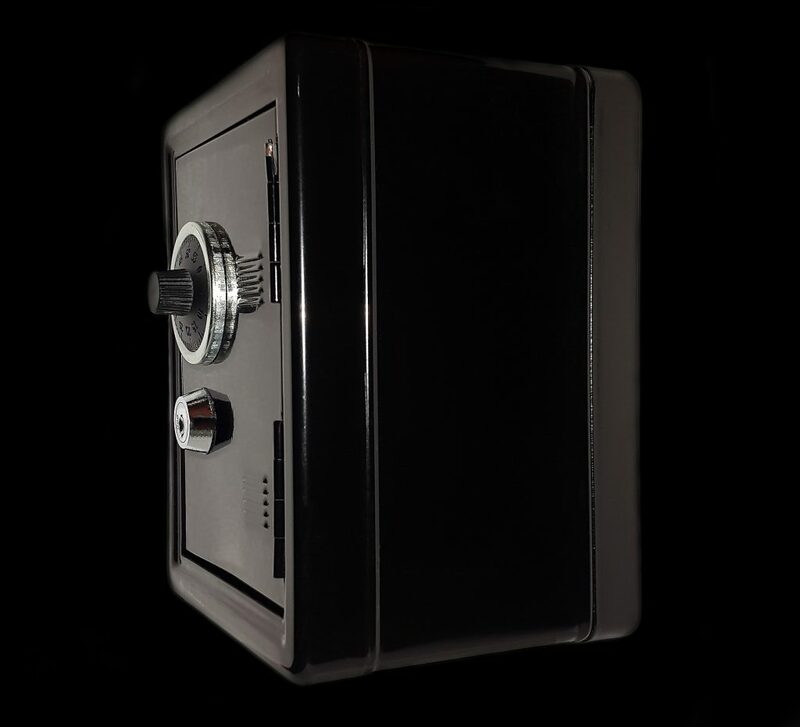 These safes, similar to the security safes, are used for documents, jewellery, cash, etc, and the only difference being that they are attached to the wall in your house. These are safer than security safes, since they can be covered by a piece of décor and kept hidden. However, they are not ideal for large items and can only accommodate small to medium sized things, due to the depth of the safe. But, wall safes are highly recommended for extremely important or expensive things. Portable safes are best if you are travel a lot and tend to carry items that are very valuable to you. These safes are lighter, smaller and practical – because they have different compartments that can be used to store cash, jewellery etc. Ideal for frequent travellers. Similar to wall safes, these are embedded within the floor of your house, instead of the wall. These are also extremely safe and can be kept hidden from burglars. These are also one of the safest types of home safes because they cannot be removed. The only downside is rust formation over a number of years. But this can be prevented with some measures, so make sure to discuss it before you buy one. Commercial safes can range from similar file safes to massive bank vaults depending on the size of your business and the material that you’d like to store away. Most businesses do use some form of safe to protect themselves from natural disasters, fires, data storage, cash, to maintain confidentiality, etc. These safes are usually more complex and larger than house safes, due to its usability in businesses. These are similar to house safes, and can be of the same size or bigger, depending on requirements. This is installed within the office and can be accessed with a key or an electronic lock. These are used to store cash, important documents, etc. They are mostly fireproof and waterproof and are made of thick walls and a door to ensure that they break when dropped from a height. Data safes are used by companies that have a lot of sensitive information to store – be it in paper or digital form. These are usually highly fire-proof and can withstand higher temperatures. These safes are much more advanced than office safes, and are more expensive as well. Anytime you have stayed at a hotel, you would have noticed a safe within the wardrobe to keep your belongings safely. They are used by a large number of hotels to make their guests feel secure about leaving their things in the room and going out. These are wall mounted, and can be accessed with a combination. As far as commercial safes go, bank vaults are the largest and the most secure of the lot. As the name suggests, these are used by banks to store stacks of money, and other valuables. A bank vault safe is built as a separate room in the bank, has a heavy steel door, that has the highest levels of security systems. These safes are built to withstand big fires, and are waterproof as well. They are also highly protected against thefts. These are also used in different sizes and variations for customers etc. They are not just used in banks, but also in other important spaces such as government offices, etc. If you are looking for a home safe or a commercial safe, there are many security companies out there that you can consult with, to consider the types of safes, costs, etc and then make a purchase.